For this recipe, I used Kerrygold unsalted butter, and Dubliner Cheese. Ever since Camp Blogaway, I have entered a love-affair with Kerrygold. Their cheese and butter are SO GOOD! It all started when I went to Ireland ten (!!) years ago with the California State University, San Bernardino Chamber Singers. 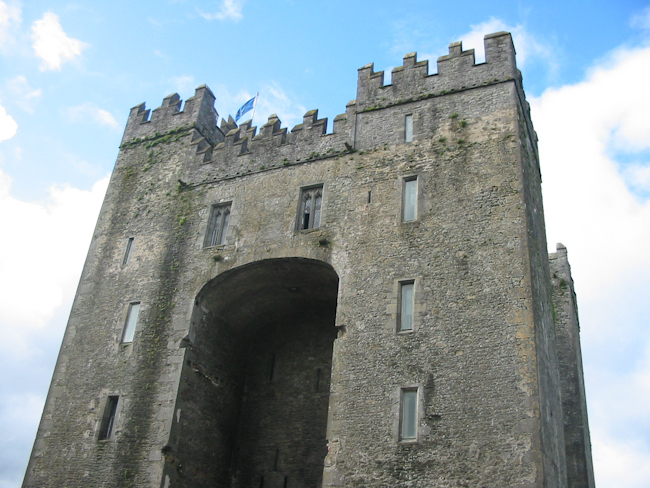 The beautiful Bunratty Castle. After a 10+ hour flight, running up castle steps is NOT a good idea! Cramps like nobody’s business. I sat down in the middle of a room because my legs were so shaky! 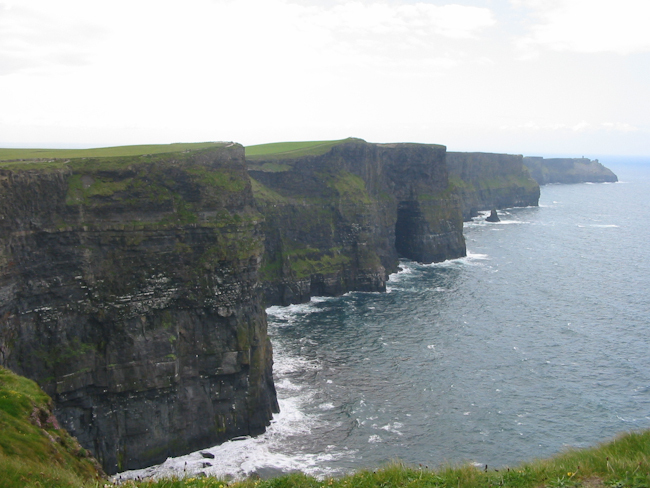 The legendary Cliffs of Moher. From what I remember, there weren’t any rails… you could get right up to the edge! We got on our bellies, and shimmied up to take a peek over the edge. Just to be safe, y’know! 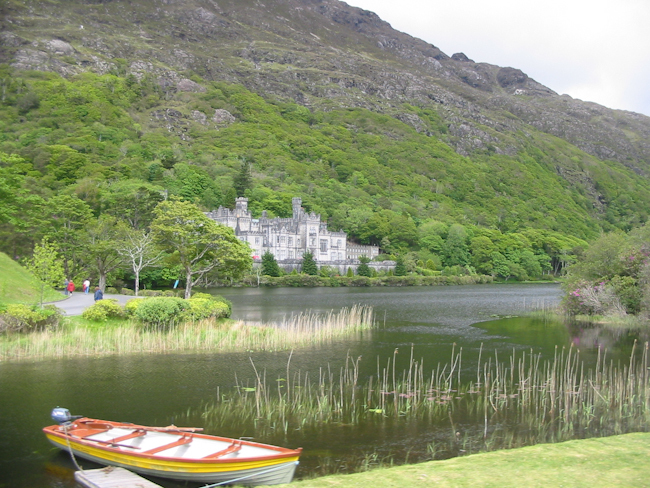 One of my favorites… Kylemore Abbey. So beautiful! The chapel is partially made of the marble that they get from the hills in the background. They have white, red, and green… it is seriously A-MA-ZING!!! I fell in total love with that country back then, and it happened again at Camp Blogaway. The butter and cheese is un-matched… I doubt I’ll buy another butter ever again! 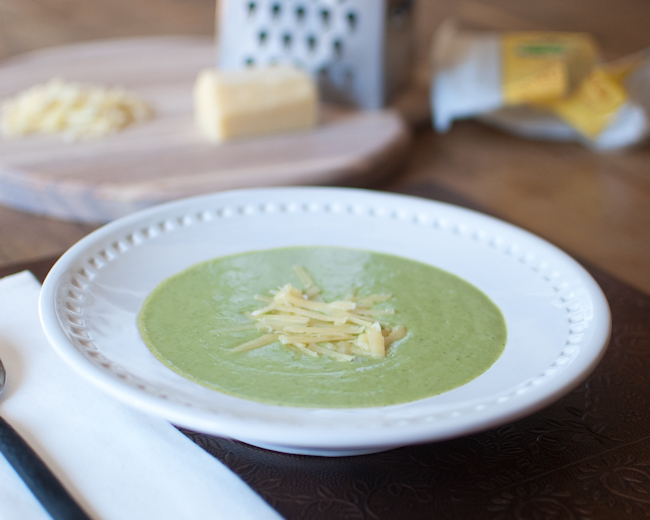 Broccoli cheese soup is an easy and delicious meal that’s ready in minutes. Put the Broccoli in a microwave-safe bowl, and cover with plastic wrap. Microwave on high for 5 minutes, until crunchy/tender. Melt butter in a medium-sized pot, and add the onions. Cook until translucent, about 10 minutes. While continuing to whisk, slowly add the chicken stock and milk, so the flour combines nicely. Add in the broccoli and bring to a boil. Remove from heat, and add the Kerrygold Dubliner cheese, salt and pepper. 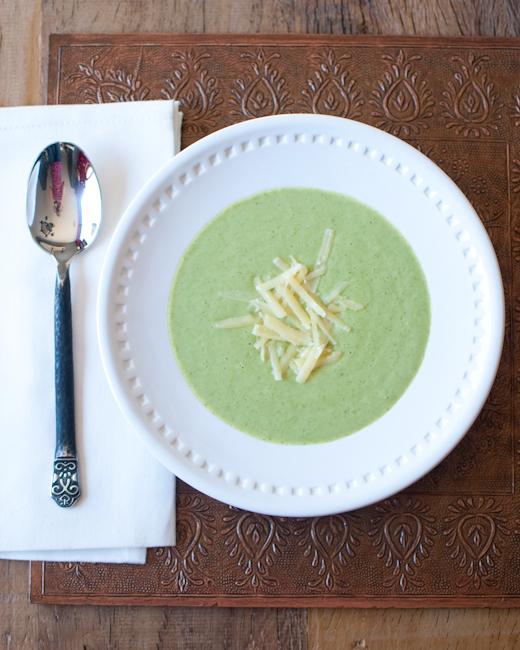 Transfer to a blender, or use an immersion blender, and puree until no chunks of broccoli remain. Portion into four bowls, and top with more cheese. Enjoy! Gorgeous! Did you kiss the Blarney Stone? That is pretty scary on its own! Love kerrygold products as well! 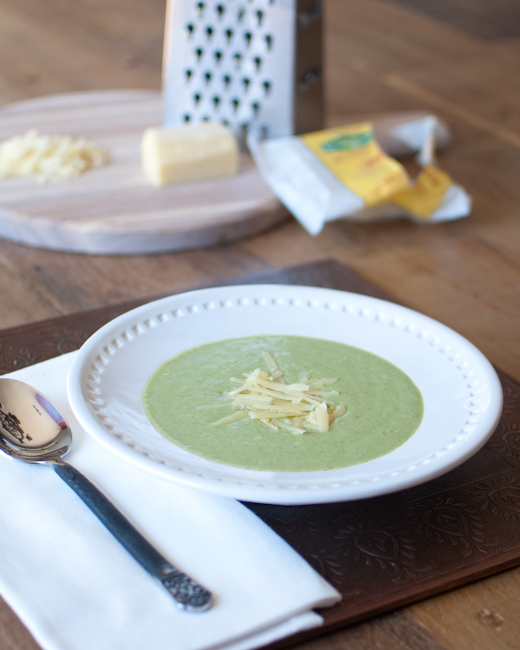 Soup looks fab! 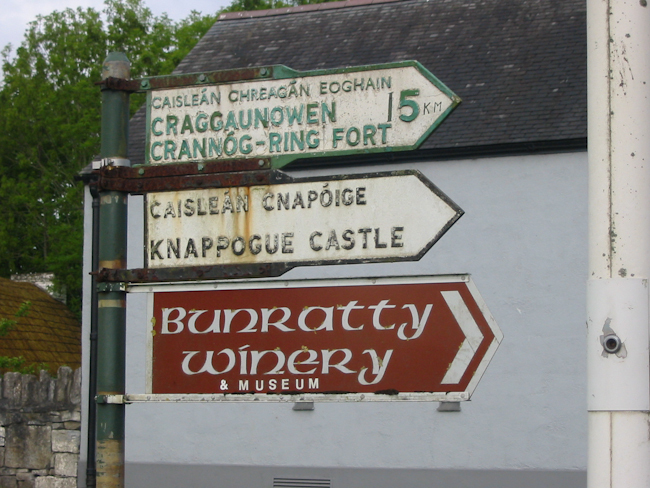 Ireland has been at the top of my vacation wish list for years. So gorgeous! I couldn’t agree more about Kerrygold! Soup looks delicious, of course! It really, really is! It was so hard to decide which pictures to put up – it is the most beautiful country I have ever had the pleasure of visiting. You HAVE to go!! !